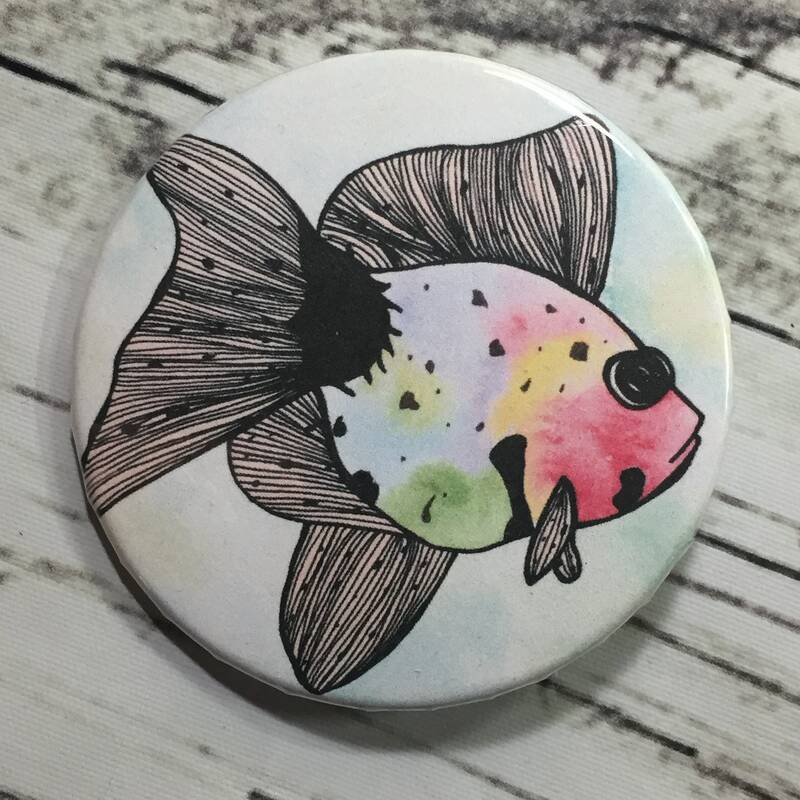 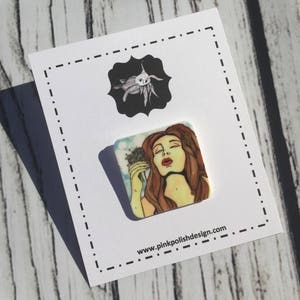 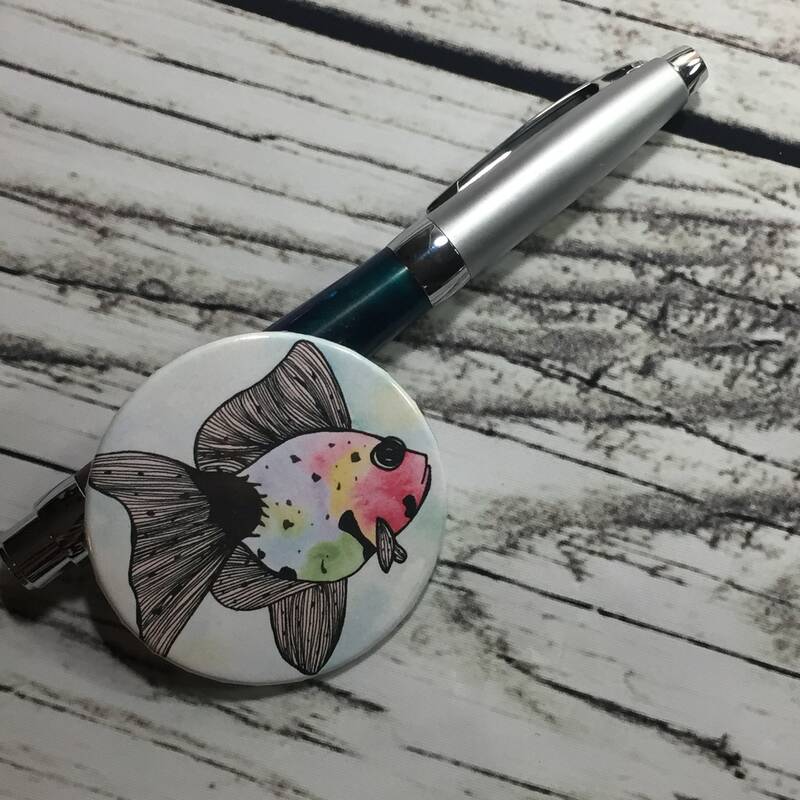 Rainbow Fish - Goldfish Inspired Watercolor Painting - Pin Back Button, 2.25"
Add some flair to your wardrobe with an art button! 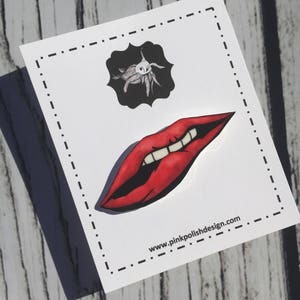 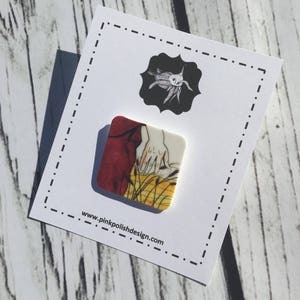 Carefully cropped and hand assembled, these buttons are fantastic! 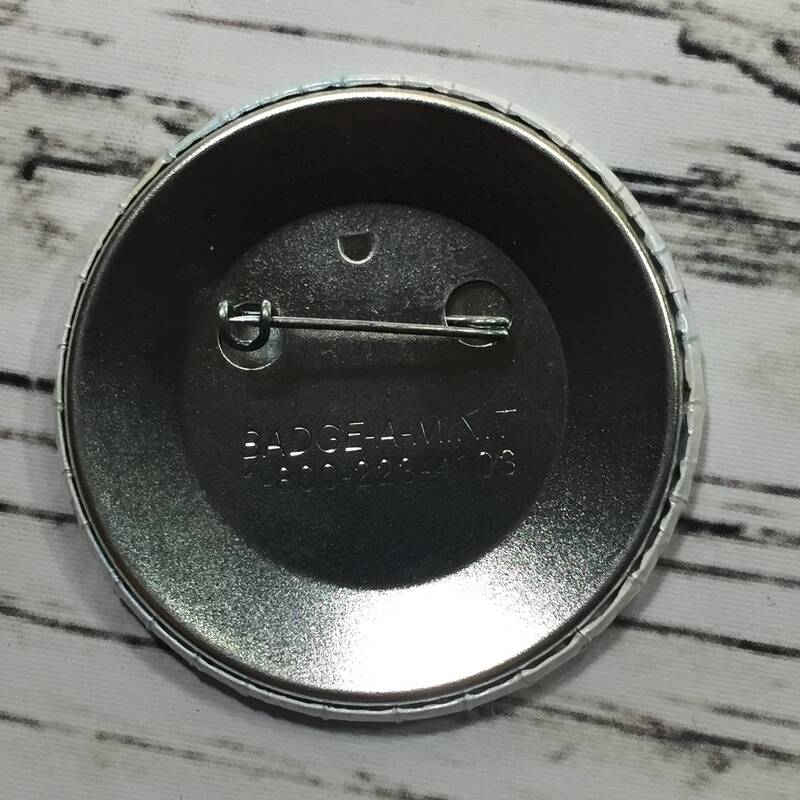 Buttons are shipped in a protective bubble mailer to ensure they arrive safely! 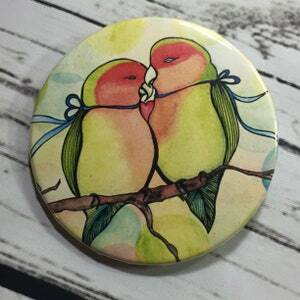 Love Birds - Romance Inspired Watercolor Painting - Pin Back Button, 2.25"